With Black Friday less than a month away, we’re once again reminded of the fact that some people are willing to do just about anything to save some money. For a handful of individuals in Ukraine, that recently meant legally changing their name to score a deal. 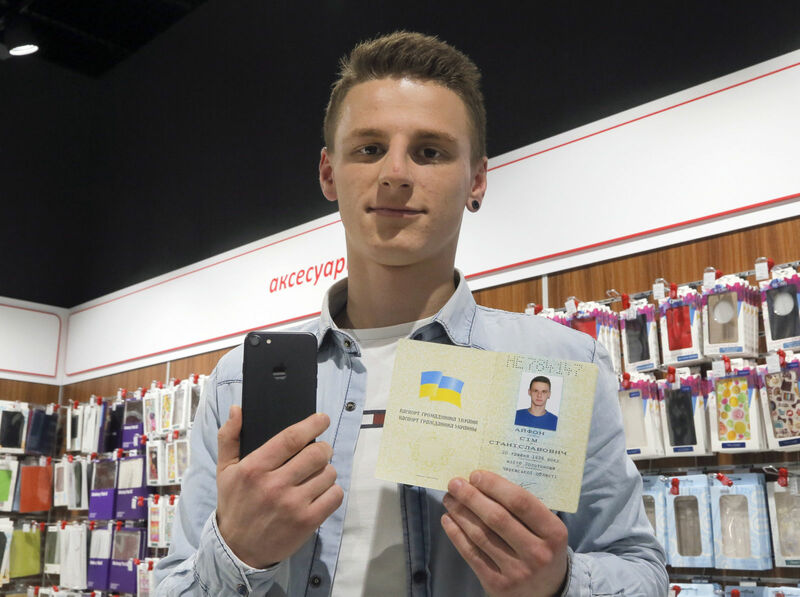 A recent report from the Associated Press tells the story of 20-year-old Olexander Turin, a Ukrainian man that legally changed his name to iPhone Sim (sim is the number seven in Ukrainian) in order to enter a contest at a local electronics store. The first five people to legally rename themselves after Apple’s current flagship would be given an iPhone 7 free of charge (imagine how irritating it would be to learn that you were the sixth person to do so). Apple’s smartphone starts at around $850 in Ukraine but the cost of legally changing your name in the country is around $2. Sim told the AP that he might revert back to his birth name when he has children. His sister, Tetyana Panina, said it was difficult to accept and hard to believe but added that each person in this world is looking for a way to express themselves. Why not do it in this way, she questioned. Would you be willing to legally change your name for a free smartphone? $2 to change it, get the phone, wait however long required, change it back, and tell no-one other than HR and payroll (still gotta get paid). Yeah, probably. SirChocula and RevD14 like this. Lol. Sim says games incoming? Well if it were only $2 and I could change it back? To save a grand, I don't see why not... I probably wouldn't but don't see why not someone else who wanted to would have much trouble to do something like that. Hard to answer. I would like to know if there was a time limit to change back. I would like it if the author of the article included that information if he is going to ask us this question. Otherwise, there's my comment, free of charge Techspot! I guess we shall be grateful he didn't sold a kidney for his iphone. 'Cause it happened before, iSheeple are capable of anything to get their object of adoration. On the other hand, very poorly written article.